During a time you’re likely feeling stressed and overwhelmed, it can be helpful and reassuring to know what your next step is. That’s the goal of our initial family law consultation in Charlotte. This consultation time begins your family law case. 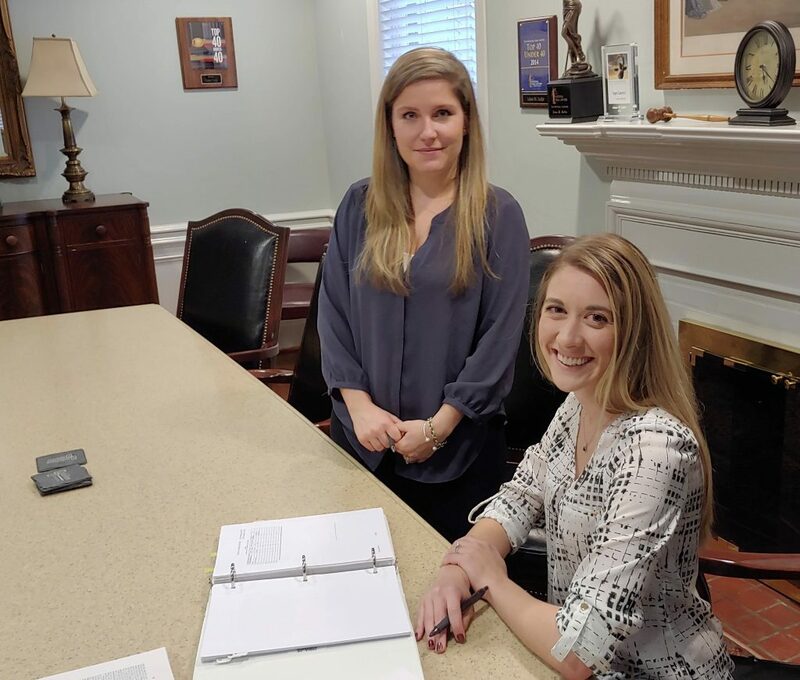 During this time, you will get the opportunity to meet with the attorney, as well as our legal team, to explore different options that pertain to you and your situation. Typically, these consultations last one hour, however, we never want our clients to feel additional pressure and can extend the time as needed. To begin your consult, you will meet with a paralegal to provide basic information and give a general background of your situation. This typically takes twenty to thirty minutes. Some of the more specific questions you can expect to be asked during this time that relate to both you and the other party in the case and include things such as contact information, mailing address, date of birth, social security number, monthly income information, mortgage information, property and vehicles owned, children information, date of marriage and date of separation. Our consultation fee also includes the review of any documents, such as separation agreements or prenuptial agreements. If litigation is already pending, it is important to bring all related documents for the attorney to review. In order to make the most of your initial consultation, it’s important to bring documents pertaining to these items with you for the team to review. You may also be asked about retirement plans and other benefits that relate specifically to your legal matter, so having this information on hand could be beneficial. Lastly, you will be asked what your primary concerns throughout this process may be. Although some of the information that relates to your situation may be uncomfortable to discuss with a stranger, it is crucial to give all relative material and information so a comprehensive plan can be created to cover all of your concerns and legal issues. After providing all relative information to the paralegal, an attorney will come and talk with you on your specific legal matter. During this time, a family law attorney will present you with all of your legal options, as well as provide guidance on which of those options best applies to you and your situation. The ultimate goal of this initial conversation is creating a strategy that you are comfortable with and that provides the best outcome possible for you and your legal matters. During your family law consultation, feel free to ask the attorney any questions you may have. It is important to remember that each situation is different, so information you may have read or discussed with a friend going through a similar situation may not apply to you based on the specifics of your case. The same is to be said for pricing; each situation is different so the fee for representation will not be determined until all of the facts related to your legal matters have been discussed. If you’re facing a situation involving family law such as a separation, divorce, post-spousal support, child support, child custody, or a domestic violence protection order, you need to speak with an experienced attorney as soon as possible. Our team provides aggressive advocacy for each of our clients and communicates every step of the way. If you’re ready to take back control of your situation, we’re ready to join the fight. Contact us or give us a call (704) 512-0606.